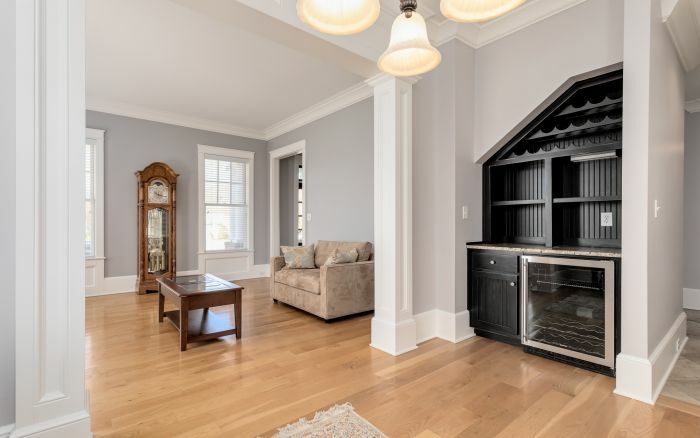 Impressive best describes this grand 2-story custom home. 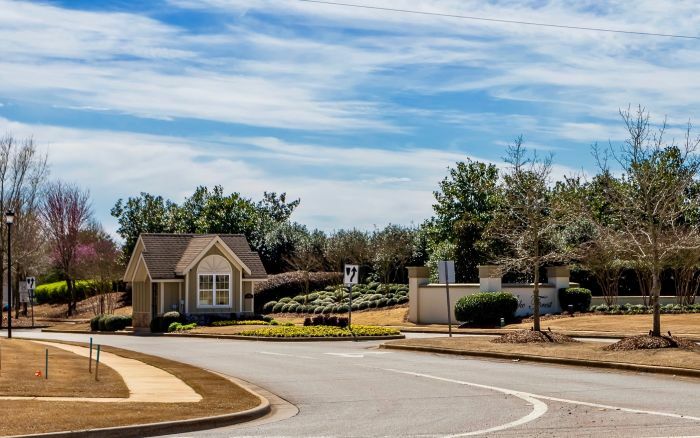 The all brick exterior, ornate moldings, and brick edged landscaping bring a sophistication to this home that is sure to please the most discerning buyers. 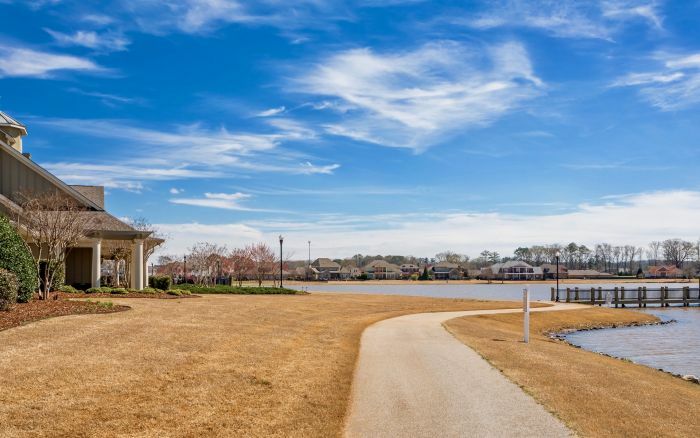 A wrap around front porch with stately columns offers tranquil lake views across the street. 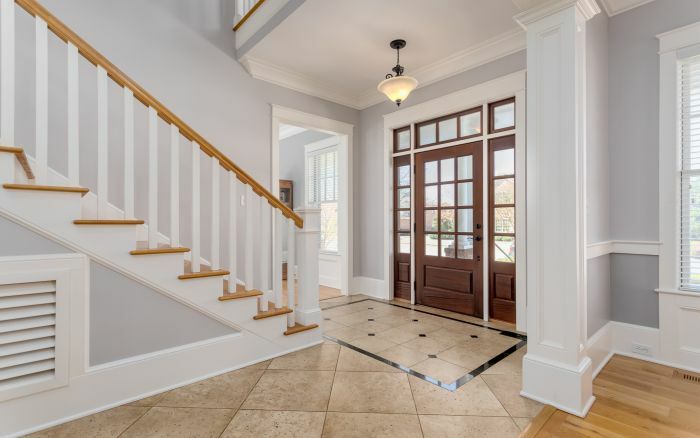 A show stopping glass and wooden door welcomes you into the spacious tiled foyer. 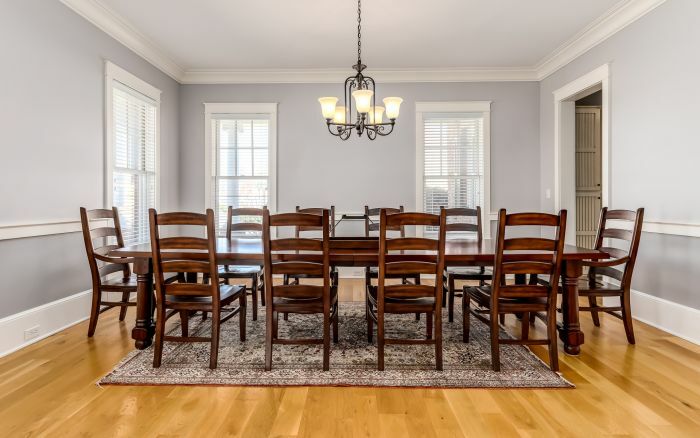 The formal living room features a gas log fireplace, beautiful woodwork around the windows and doors, plus sparkling hardwood flooring which continues into the dining room, family room and study. 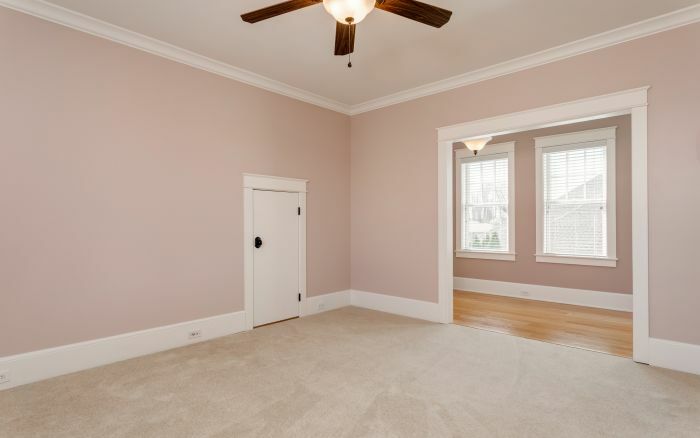 Crown molding and cased opening detailing sets the stage for dinner parties, while the family room offers a casual elegance with natural lighting and a gas log fireplace flanked by built-in bookcases. 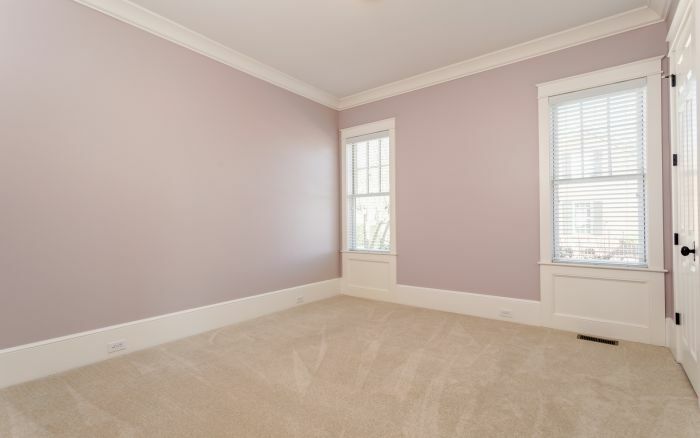 In addition, there is a study which is the perfect space for someone working from home. 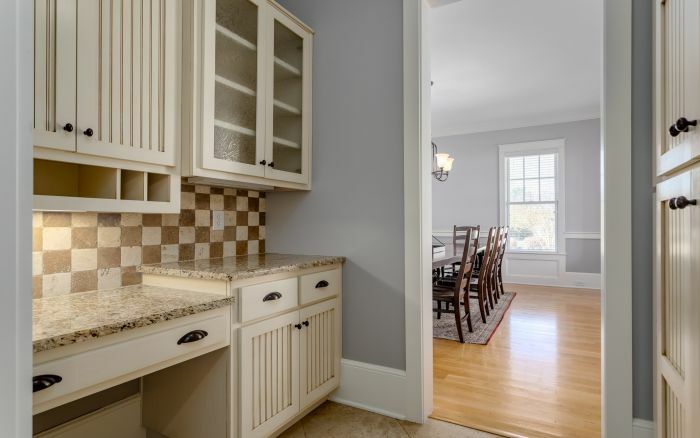 You will experience the Joy of Cooking in the handsome kitchen and adjoining butler’s pantry. 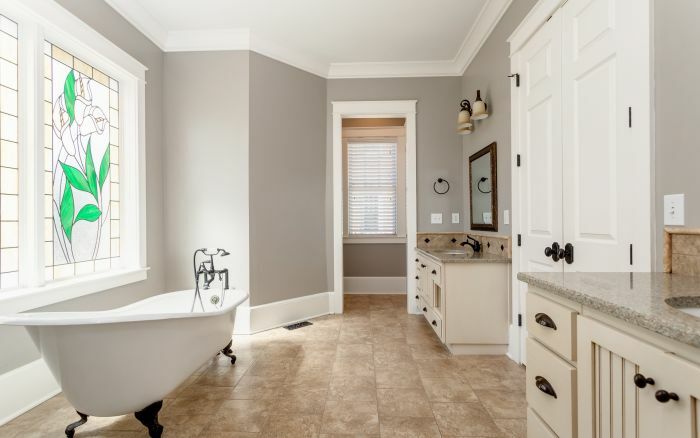 Lovely furniture-like cabinetry, granite counters, tile backsplash, and large farm sink are sights to behold. 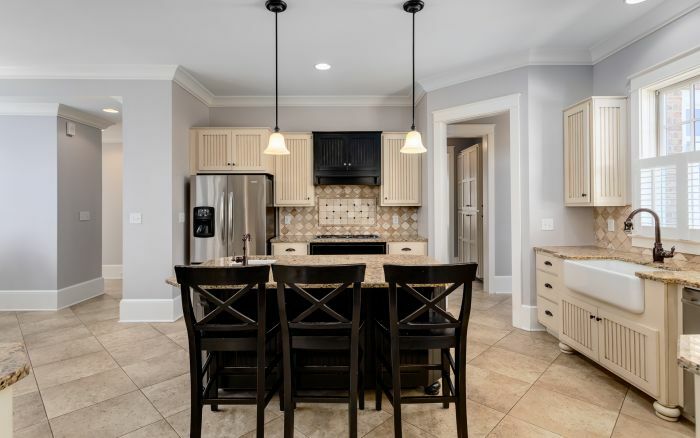 The center island is large enough for the kids grab a snack, do homework or help baking your next batch of cookies. 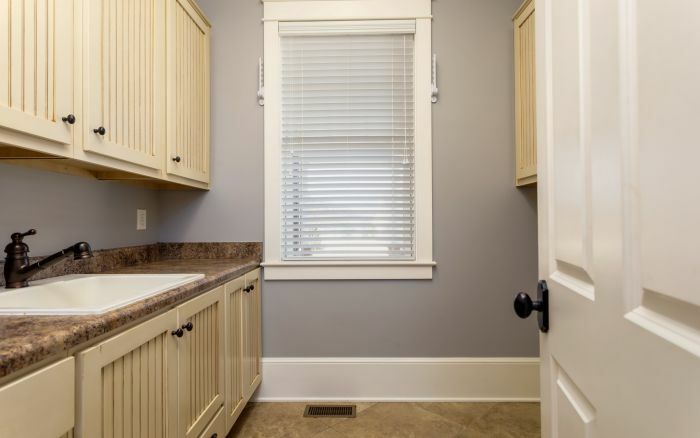 The second sink will make cleaning up a snap. 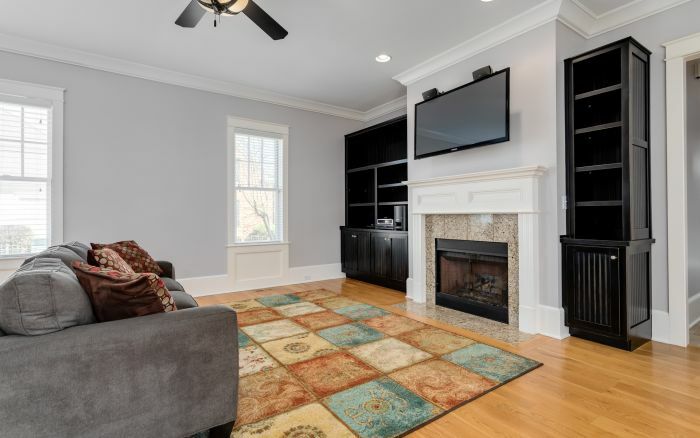 Double ovens and a 5-burner gas stove make cooking for a crowd a breeze. 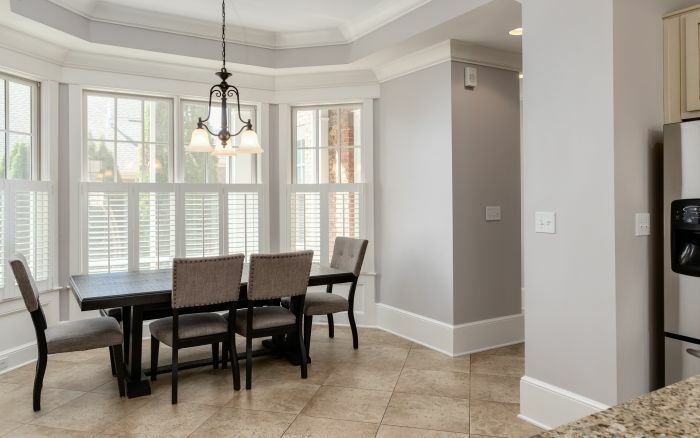 An informal dining area boasts a bay window with backyard views. 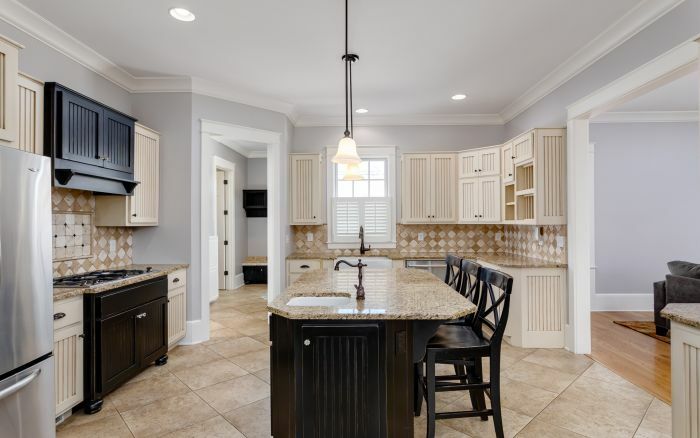 The butler’s pantry beautiful cabinetry, granite counters, sink, serving station and desk, provides additional workspace. 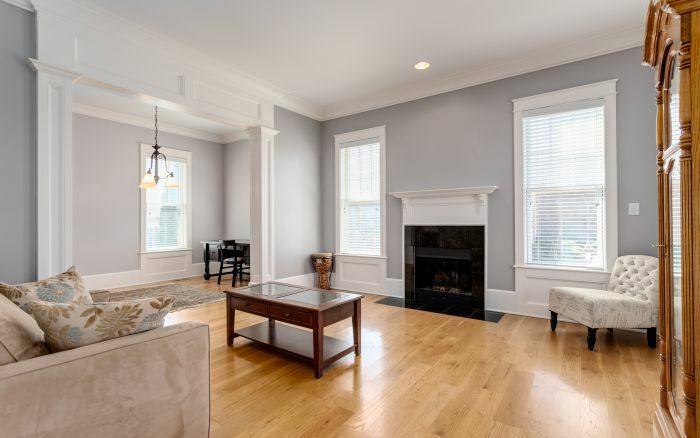 There are 10 ft. ceilings and 8 ft. door openings throughout the first floor and 9 ft. ceilings upstairs which is accessed by way of a stairway with an attractive traditional railing and banister evoking the feeling of yesteryear. 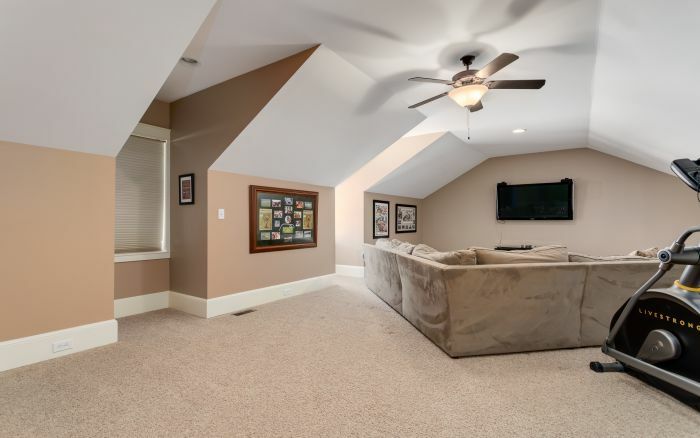 The massive second floor recreation room is perfect for a kid gathering place, man cave or place to enjoy family movie night. 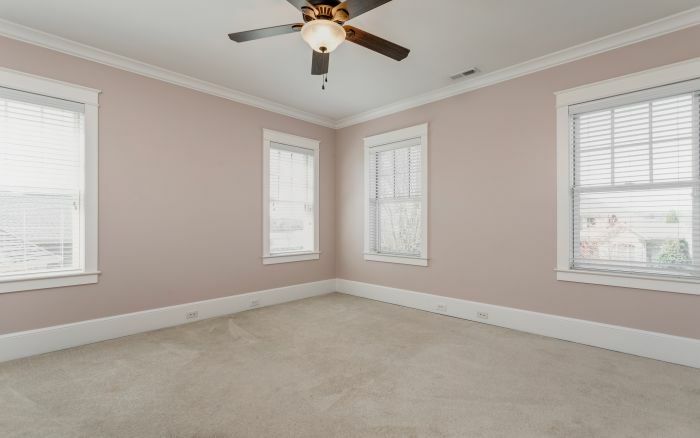 It’s sure to become one of your favorite rooms in this home! 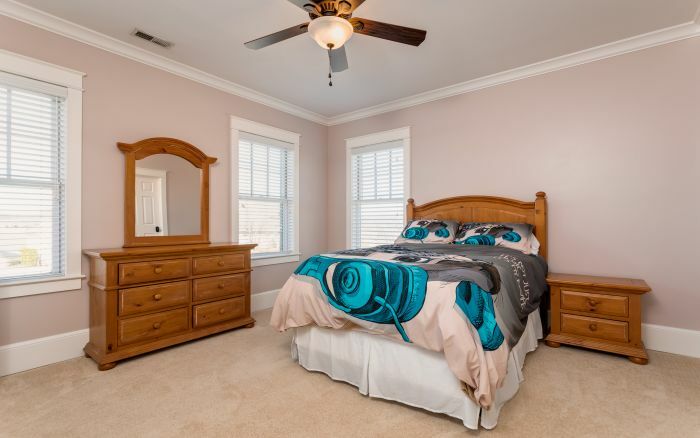 And when you need to get away from it all, you can retreat to the master suite with a glorious bath including a claw foot soaking tub, walk-in shower with body jets, dual vanities, tile backsplashes, decorative stained-glass window, and huge walk-in closet with shelving and drawers. 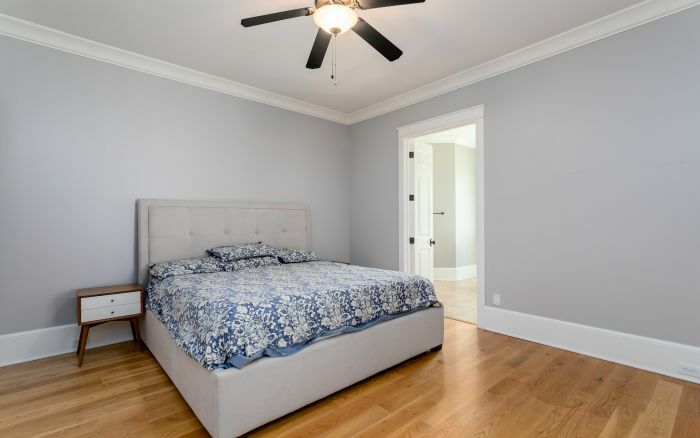 Three additional bedrooms with en suite baths complete the second floor. 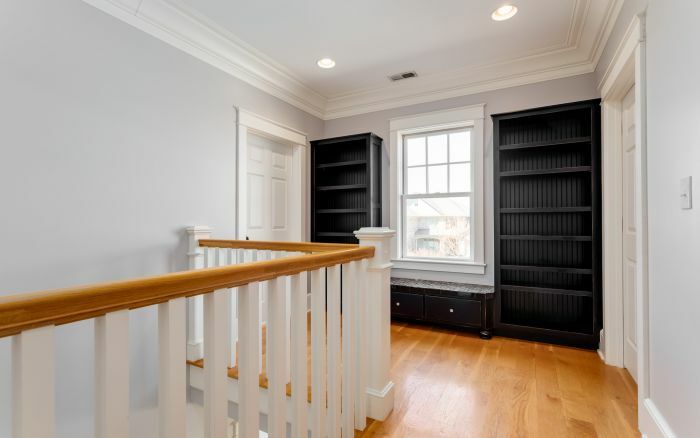 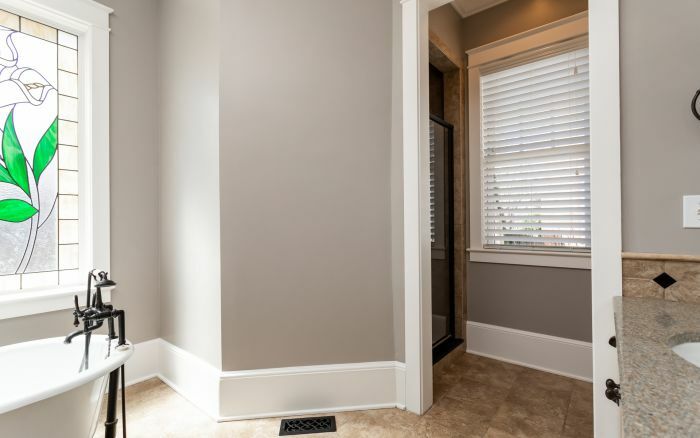 But let’s not forget the second-floor foyer at the top of the stairs where a sunny window seat and built-in bookcases make this a great reading nook. 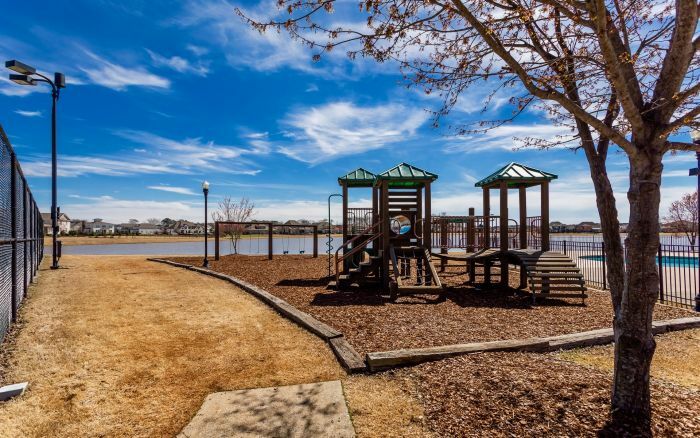 Enjoy the outdoors? 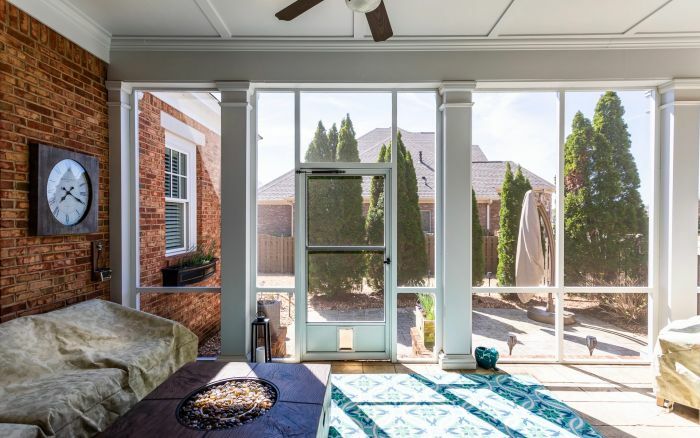 A relaxing screened porch has stamped concrete flooring and opens onto a large patio in the peaceful landscaped backyard. 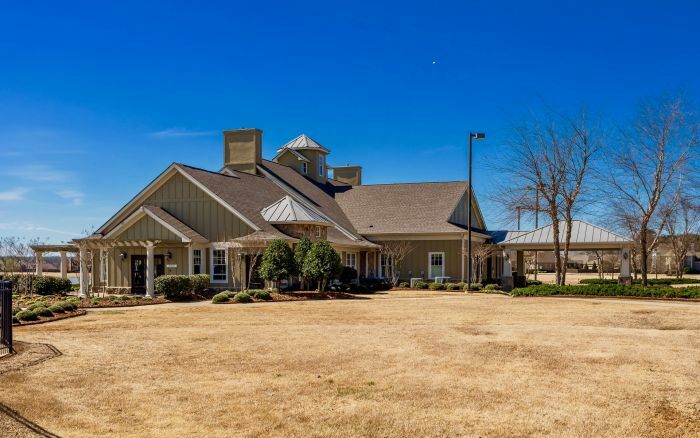 This home won’t disappoint! 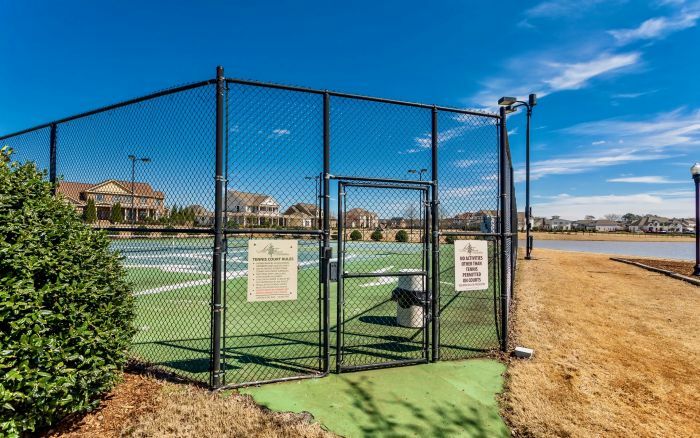 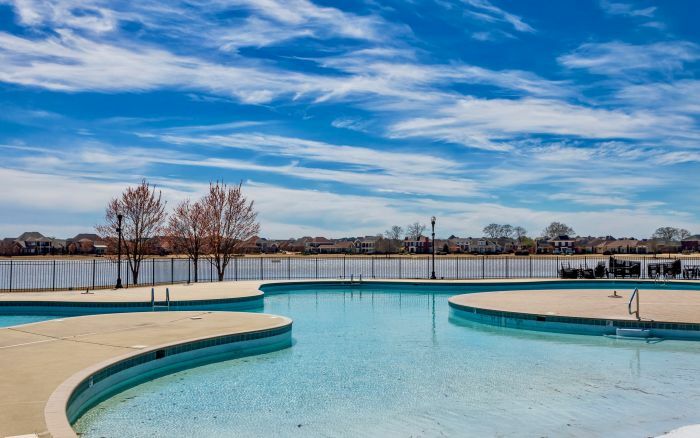 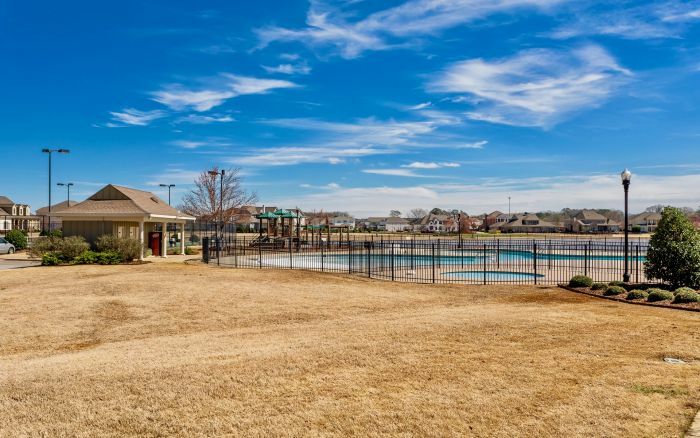 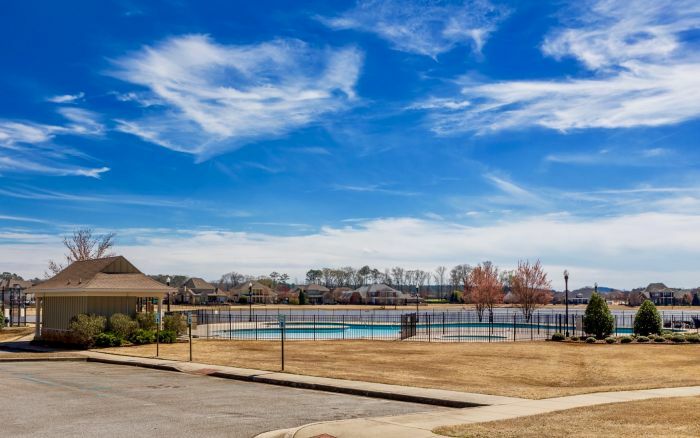 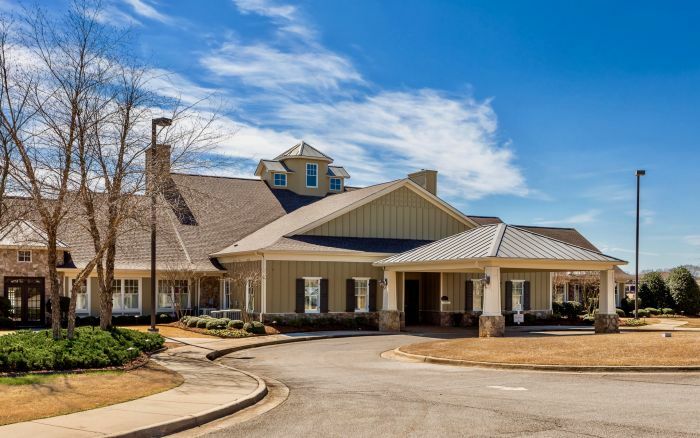 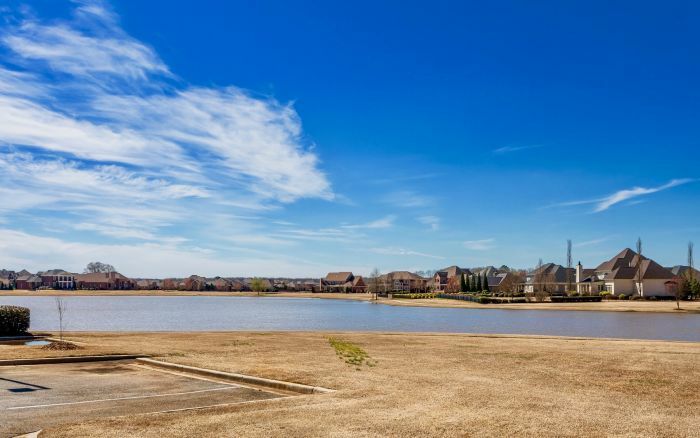 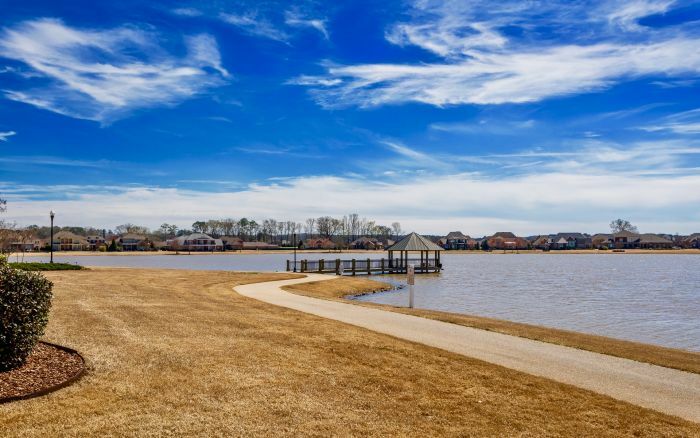 It has all you could imagine and more, PLUS all the Lake Forest amenities: lagoon shaped pool, fitness center, 31-acre lake, playground, tennis courts, and walking trails! 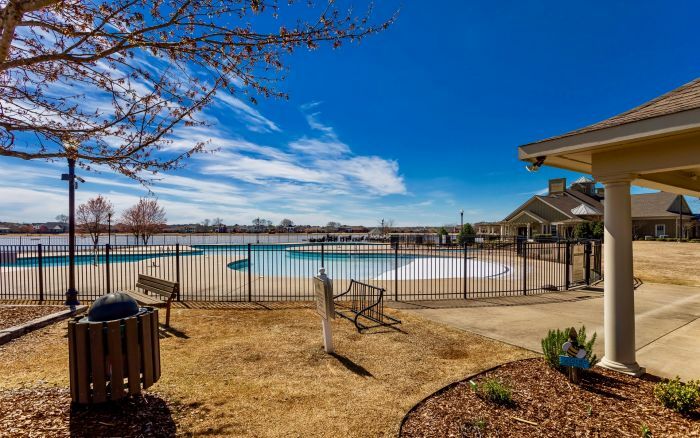 Call Mike Manosky at 256-508-0211 and make an appointment to see it today!